Euro continues moving upwards. We think, today price may reach level of 1.3640, fall down to return to 1.3565, and then grow up again towards target at 1.3700. 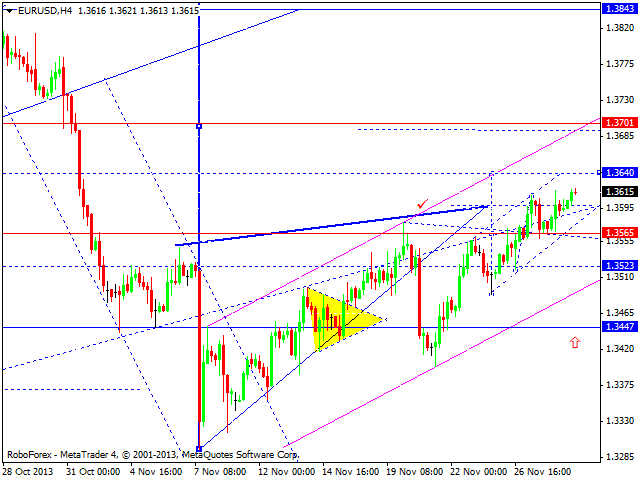 We should note, that pair is forming the fifth ascending wave with target at 1.4100. Pound reached minimum target of this ascending movement. 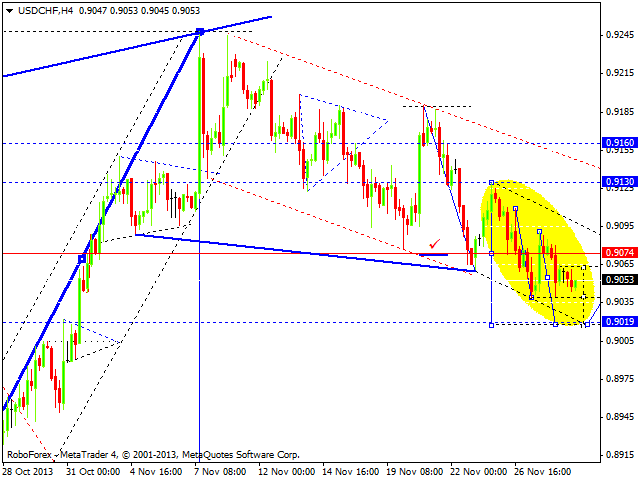 We think, today price may start new correction towards 1.6100. 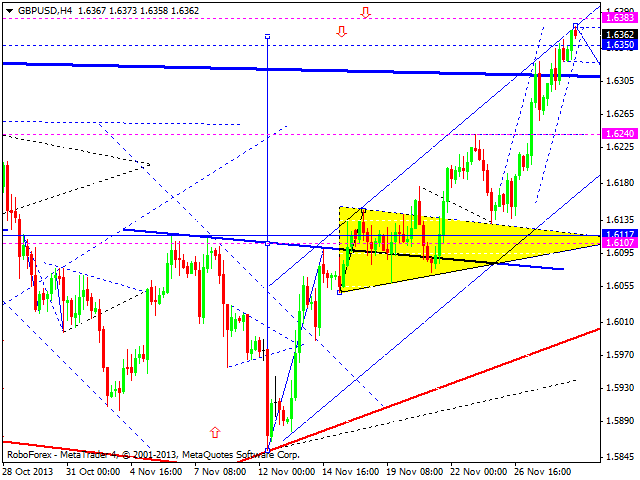 Target of this ascending trend is at 1.7150. Franc is still forming continuation pattern to continue moving downwards We think, today price may reach level of 0.9020, return to level of 0.9075, and then form another descending wave to reach target at 0.8900. Yen reached resistance level of this ascending movement and started forming new descending structure. We think, today price may continue forming descending correction towards target at 101.70. 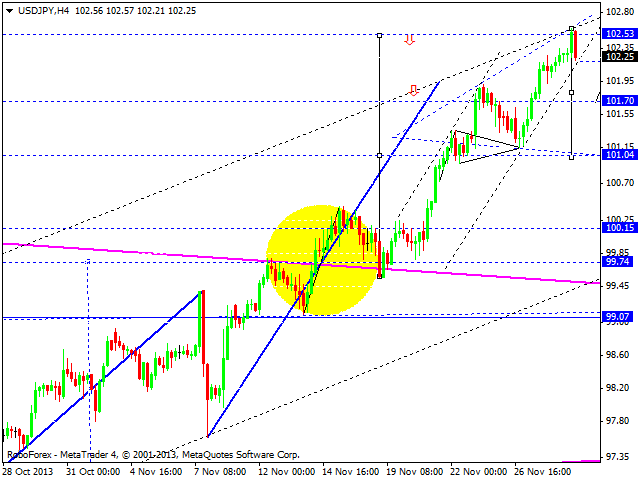 This movement may be considered as the first wave of major correction to reach level of 99.70. 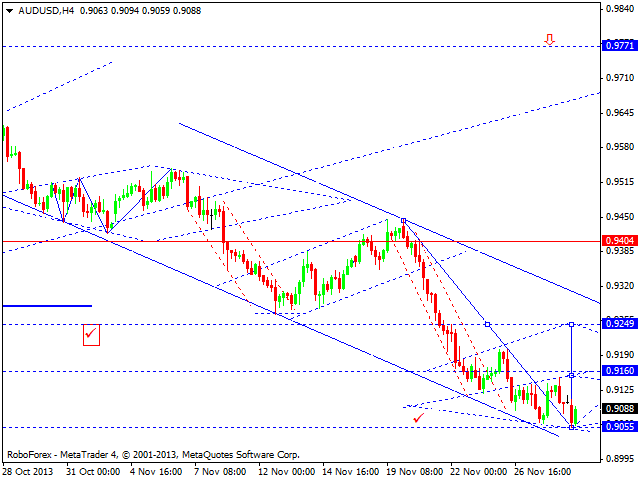 Australian Dollar reached main target of its descending movement. We think, today price may consolidate at current minimums, form reversal pattern, and then start the fifth ascending wave with target at 0.9770. 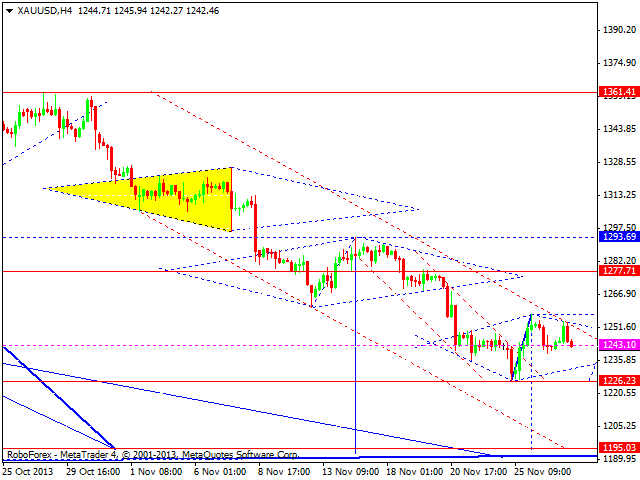 Gold is not traded due to long holiday weekend in the USA. After market opening, instrument is expected to move downwards to reach level of 1195.